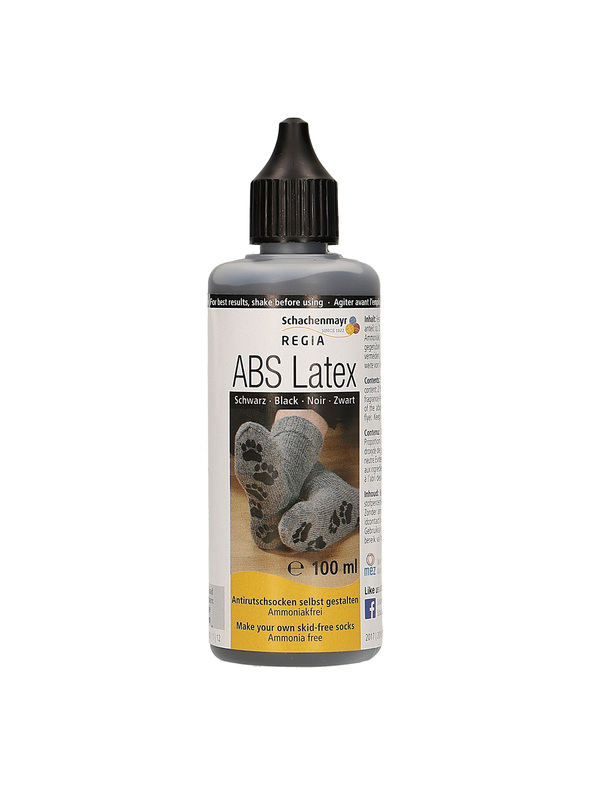 With REGIA ABS Latex, you can quickly and creatively make socks with skid-free soles. 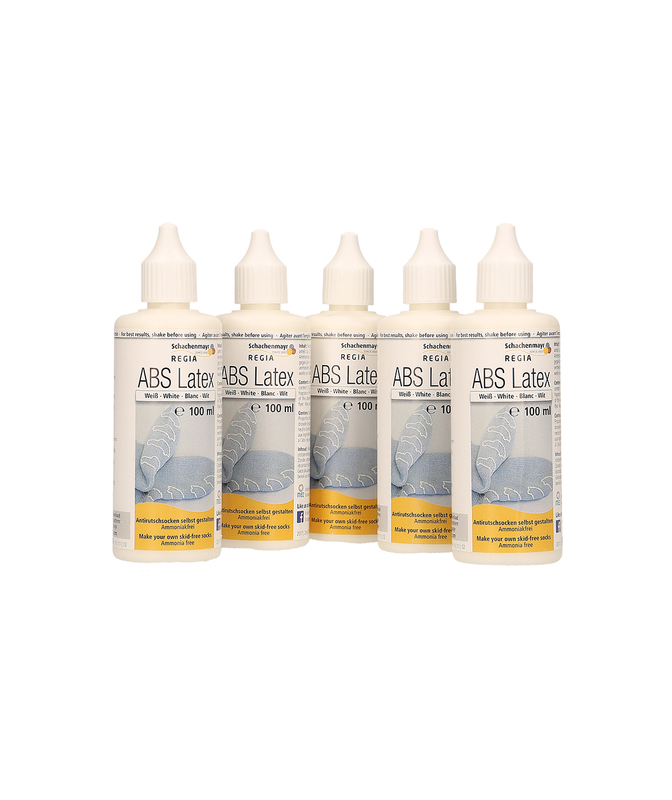 The ammonia-free Latex milk in its practical applicator bottle is easy to use and will help you turn hand-knit socks into skid-free socks in only a few steps. 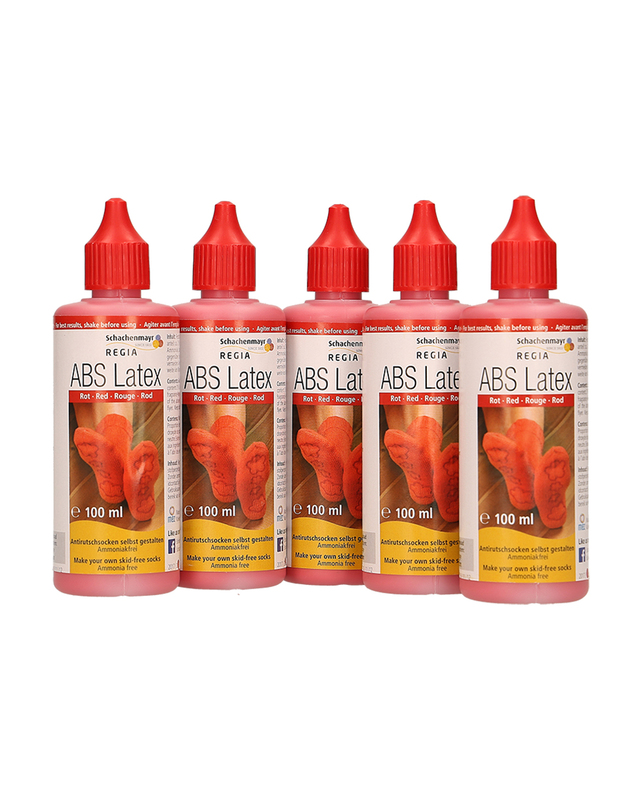 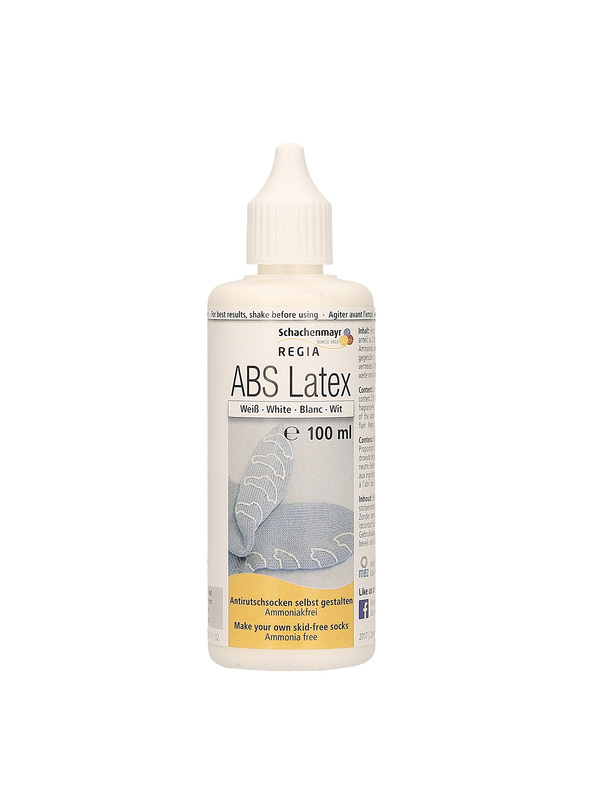 REGIA ABS Latex can be applied free-hand or with the help of a special design template, the ABS Latex Tool. 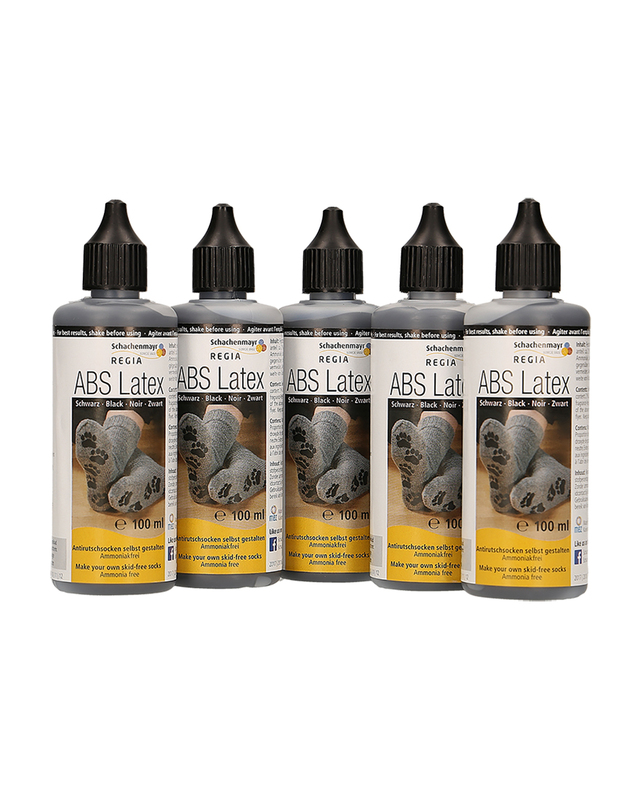 Then just let the Latex milk dry thoroughly and your own unique anti-skid socks are ready for the whole family to wear. 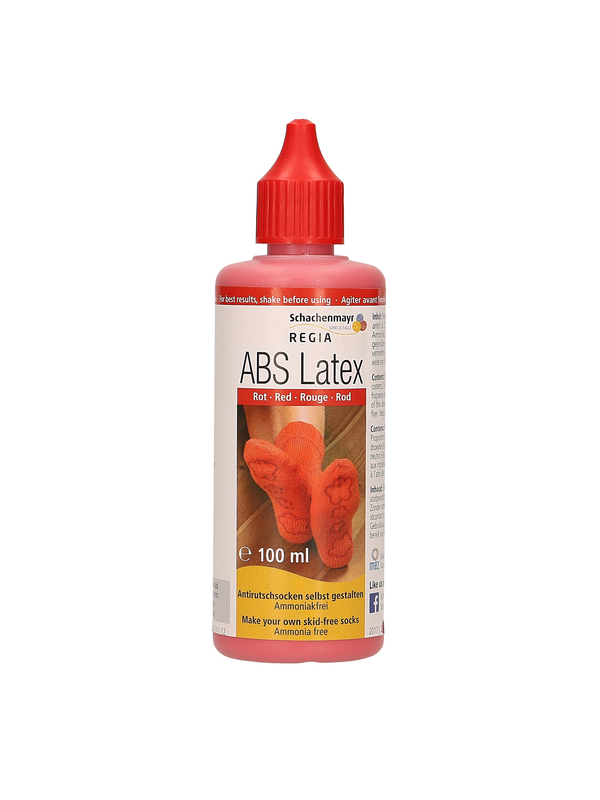 This Latex milk is available in red, white or black, in a 100 ml applicator bottle.